Parent Chat 4 to 9'Parent Chat 4 to 9' is a platform for parents of 4th through 9th graders that provides advice, content, and support to help navigate, transition, and thrive through those challenging milestone years. 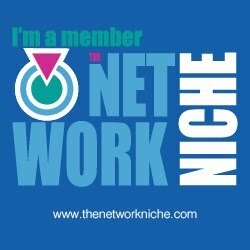 Its members enjoy viewing new weekly topic (Parent Chat VLOG) and book chapter summary (Teen Wise VLOG) videos, participating in weekly giveaways and monthly contests, engaging in direct conversation with Celeste (Personal Parent Chat), sharing victories and celebrations (Proud Parent Corner), and contributing in forums that encourage respectful commentary. View videos, enter giveaways, compete in contests, participate in forums, access exclusive offers, and engage in unlimited personal, one-on-one chats with Celeste to determine if 'Parent Chat 4 to 9' is a right fit for you BEFORE you make a decision. About Teen Wise . . . 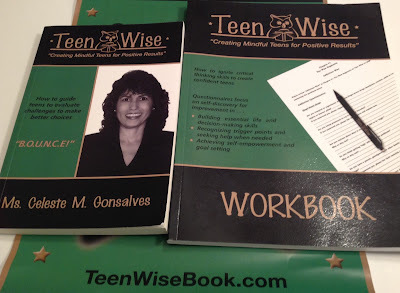 Teen Wise main products are two books titled, Teen Wise and Teen Wise WORKBOOK. Teen Wise also creates programs and projects that provides preteens, teenagers, parents, and educators with the opportunity to participate. 'Parent Chat Live' was a facebook live video show that provided information for parents that directly related to preteens and teenagers and the challenges of parenting them. Focus was on teaching parents new ways to connect and communicate better with their child or teen. Celebrating victories and milestone achievements were also acknowledged. Those videos have been integrated here on Parent Chat 4 to 9, along with new products and services. Videos #1 through #7 in the 'Parent Chat VLOG' section are derived from the original 'Parent Chat Live' show. Fresh content solely created for 'Parent Chat 4 to 9' begins in Video #8. 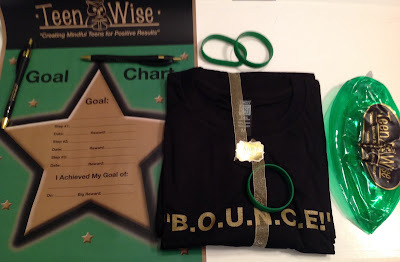 Plus the Teen Wise Shop offers Teen Wise Books, Videos, and Logo Merchandise for purchase. Please note that ALL orders include TAX and FREE SHIPPING! ! ! Ms. Celeste M. Gonalves is the author of Teen Wise and Teen Wise WORKBOOK. She is also the founder of Teen Wise, LLC. 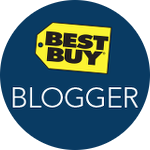 I received complimentary product and this post does contain affiliate links. Cassandra's Review- I think that both books offer a great balance of learning and educational fun for younger children. Anyone can really benefit from taking the time to work with them. I really enjoyed how much fun the kids had with the bonus swag. I think that the author choose a really insightful way to bring her lessons and that they are easy to understand. Enter below to win not only the book and workbook, but also a great prize pack. I would win this for myself. I would like to win this for my 15 yr old niece! I would win it for our granddaughter. I would win this for my neighbor. She has been through a lot and needs some cheering up!